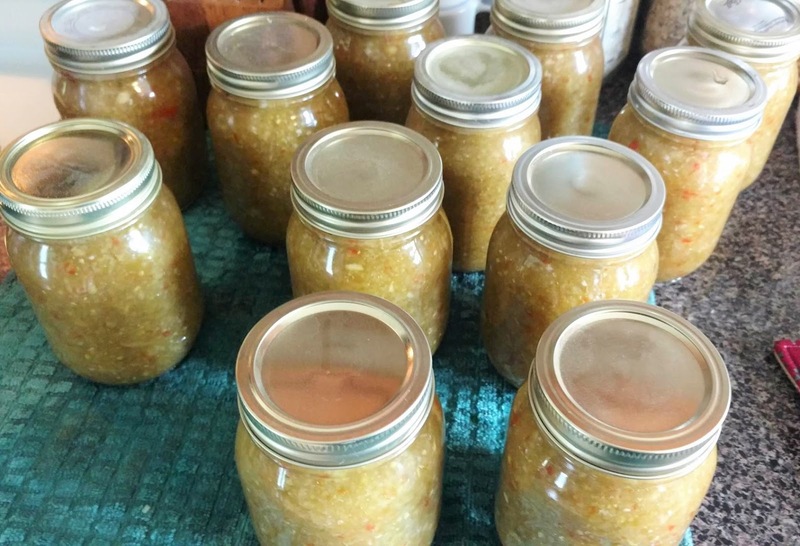 Every year we harvest a big batch of our green tomatoes and make relish, both for our consumption and to sell. It's easy to make and delicious. Plus, Adam and I love both working in the kitchen together and it's kinda one of our late summer activities that we look forward to. You can find the full recipe and instructions here. 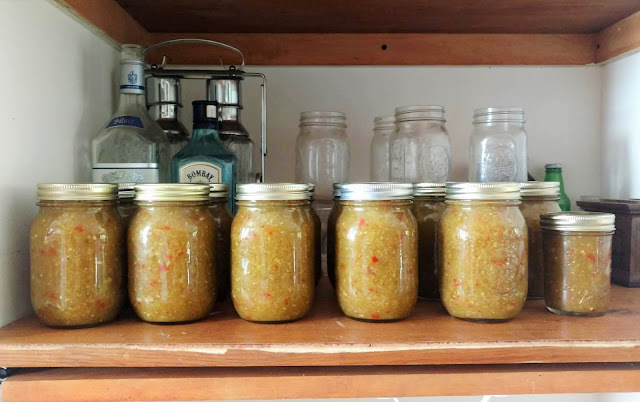 please note: if you are not a huge fan of sweet stuff (like me) you can cut back on the sugar and add some hot peppers to the relish. I added some jalapenos to one batch and loved it. 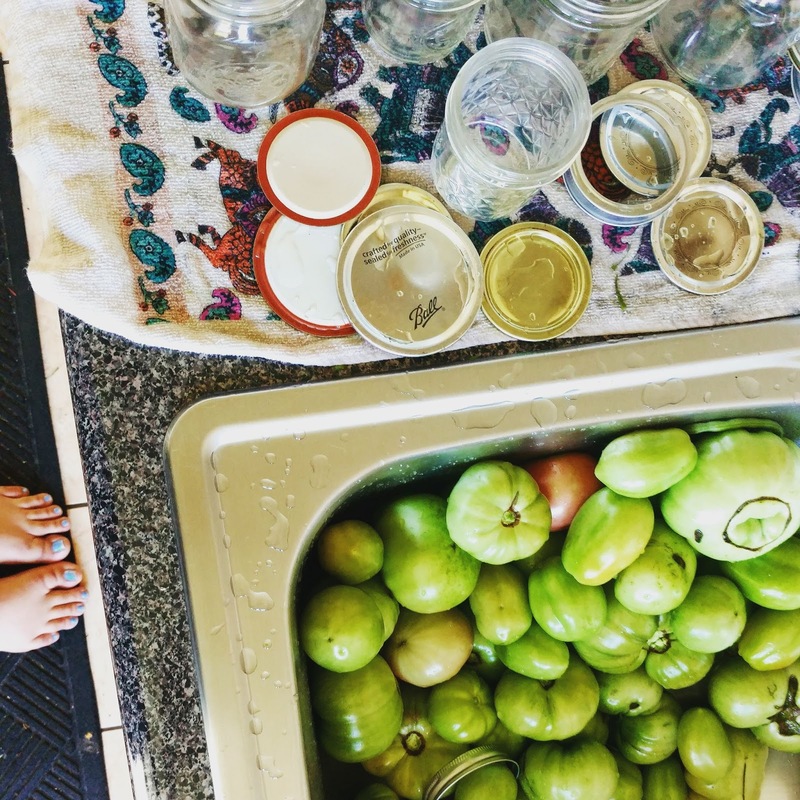 1. start with a sink full of green tomatoes. Wash well and remove any weird spots. 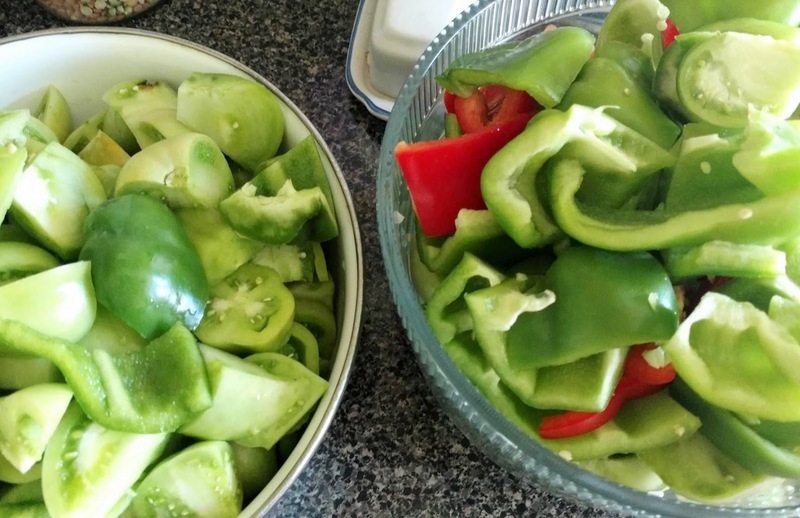 2. chop up all your tomatoes, peppers, and onions. 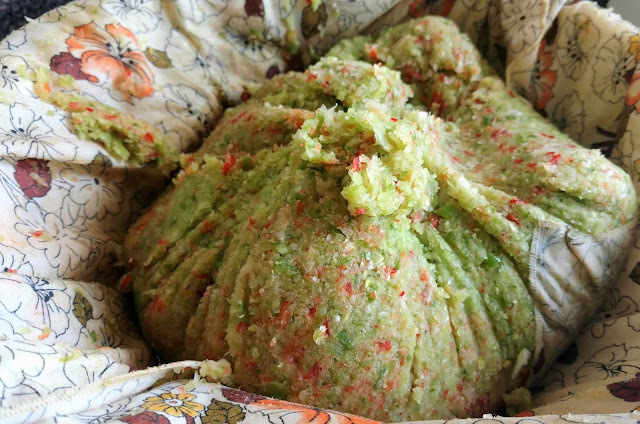 3. process everything in the food processor until fine. Drain through a fine cloth (or cheese cloth) for approx. an hour. 4. (not pictured) mix vinegar, sugar, and tomato mixture in the large pot and bring to a boil. 5. sterilize your jars. Fill to the top with relish, seal tightly, place in boiling water, and let process for 30 minutes. Take out and let cool on the counter without the jars touching. 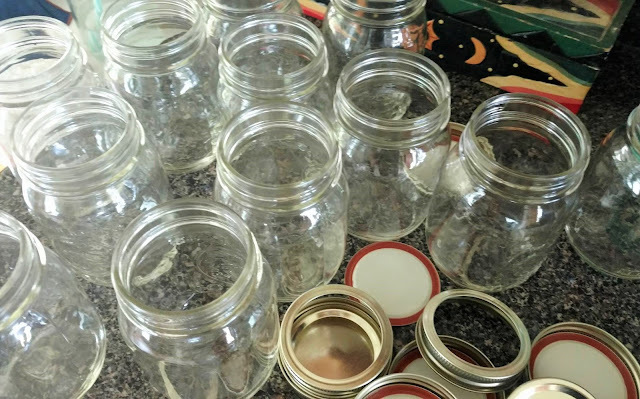 6. wipe jars off, label, and set aside for winter!